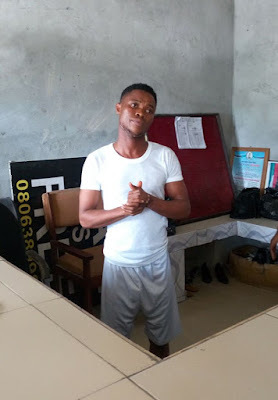 A youth corp member has been arrested for allegedly defiling an eleven (11) year old JSS 2 student in Warri area of Delta state. According to Israel Joe, simple instrucltion to carry out home lessons have ended the little girl with pregnancy. The Nana College Warri student now goes through the pain of abuse and molestation. The suspect has been arrested and is currently in custody at Division B police station in Warri. It was also gathered that a notification has been sent to National Youth Service Corps NYSC national secretariat as the suspect is to be charged to court. Hello There, I am a Passionate Graphic Designer with more than 5+ years of experience. I will provide creative and innovative Designs. My aim is to create amazing, original, and high quality work for my clients. Looking forward for your kind response! New Batch of Jamb Result has been Uploaded!